What are some fun things to in your free time as a student? 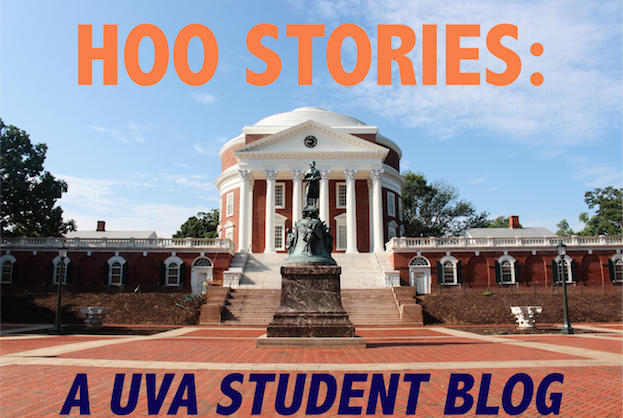 One common question I tend to get as a student is this: "What do you like to do for fun in Charlottesville?" Usually many people who visit might think that they are limited to things on grounds provided by the university. However, I find that some of the funnest things to do to bide my time are around the city of Charlottesville! So in downtown Charlottesville there is a big strip of shops, restaurants, and other interesting places that you can walk through, being especially nice when its warm. Around here some examples of things to do are: go to an ice skating rink, go watch a hockey game, go to the Jefferson Theatre and watch a movie or any performers that may be performing a concert, go eat in one of the many restaurants, etc. etc. etc. I personally love to walk around here in the Fall and Spring time. 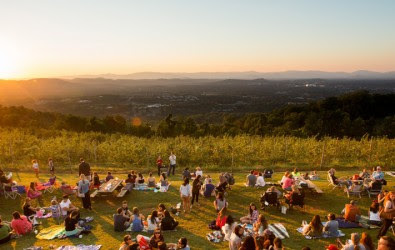 So basically Carter's mountain is an apple orchard, but during the Fall and Spring time they hold this thing called a sunset series which is an event every Thursday night in which they stay open and people can come watch the sunset from the top of the mountain. Usually there are bands there, and they serve lots of different foods and especially my favorite: apple cider donuts. Now I had to throw something on the UVA grounds for the list, just because exploring the grounds never gets old. Simply walking around UVA with friends and finding hidden areas and different details you did not know about before is really cool and fun when you first get here. It may seem like a maze at first, but finding myself in one of the Lawn Gardens after aimless walking during my first week on grounds was one of my favorite experiences. That's all I have, so if you have any questions, comments, or requests, just comment below!